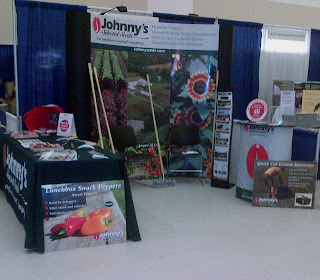 Johnny's Maine-based Territory Sales Rep, Kristen Dubord, recently attended the NOFA NY Winter Conference, held in Saratoga Springs, NY, January 25–27, 2013 as well as the PASA Farming for the Future Conference in State College, PA February 6-9, 2013. The conference offered a great selection of workshops on topics such as sustainable farming, soil health, grain production, and many others. Each morning, tradeshow attendees could additionally participate in a yoga session! The Keynote Address, which you can read here on the NOFA-NY website, was given by Scott Chaskey of Quail Hill Farm in Amagansett, NY. You can also view conference programs for 2004-2013. While at the Johnny’s booth, tradeshow attendees could demo our Four-Row Pinpoint Seeder, grab a free Johnny’s bumper sticker, take a new catalog, enter our raffle, ask Kristen any number of growing questions, discuss concerns, and learn about our new selection of products. 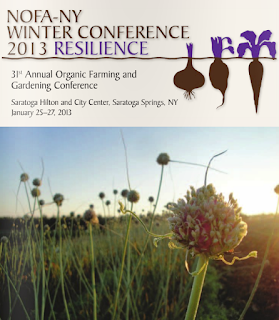 Congratulations to our raffle ticket winner, Jacob Diaz of Slow Roots Farm in Kingston, NY. 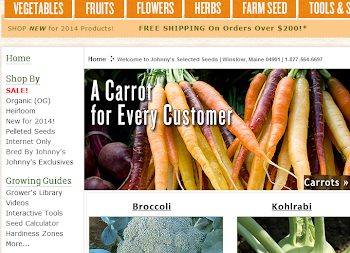 You can learn more about Slow Roots Farm at their website. While at the conference, we found the most popular informational sheets we offered concerned our Planting Programs. 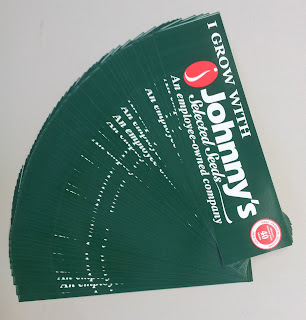 You can learn more about these programs, such as What a Planting Program Is, What the Key Elements Are to Implementing a Successful Program, and Why to Use a Planting Program at Johnnyseeds.com, as well as which varieties are best to plant (and harvest) when. You can learn more about the NOFA NY organization, as well as their Winter Conference, at their website and official Facebook page. According to the PASA website, this year’s conference hosted an audience of “around 2000 people from 30 states. Attendees included over 950 farmers, and 219 scholarship recipients.” If interested, you can also check back at the PASA website to hear audio files from the conference, from Organic Voices. Once the Johnny’s booth was set up, we featured poster boards with information on the Quick-Cut Greens Harvester and our 'Lunchbox' Series of Snack Peppers. 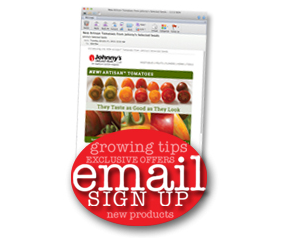 We also featured several information sheets on new and best-selling products such as our 'Jasper' tomato, specialty pumpkins, butternut squash, and our organic pepper lineup. If you, too, attended either of these conferences, we'd love to hear from you in follow-up. Feel free to share your thoughts in the Comments section, below — or visit with us on Facebook anytime!